“Why are you people here? For me, one of Thich Nhat Hanh’s greatest gifts is the original 14 precepts of the Order of Interbeing (first published by Parallax in 1987). As you know, I include the 4th precept in my novel Dear Layla Welcome to Palestine, where it serves as the catalyst for so much of what takes off in that story. For present purposes, I highlight the sentence, “Find ways to be with those who are suffering by all means, including personal contact and visits, images, sound.” Images, yes, images. Lady Borton worked for the American Friends Service Committee in South Vietnam from 1969-1971. A decade later, she assisted Vietnamese boat people and refugees. In the late 1980s and 1990s, she visited Vietnam several times, as she was intent on seeing what it was like to live with the peasants, especially the women. Her memoir, After Sorrow: An American among the Vietnamese, is a chronicle of her encounters with ordinary Vietnamese who gradually opened up to her and revealed their stories of resisting the French and the Americans. She visited people and friends in the Mekong Delta in the south, the Red River Delta in the north, and Ha Noi. I ask that you urge VA Secretary Eric Shinseki to obey Public Law 110-387 and provide “comprehensive health care” to the several hundred children of Vietnam vets having birth defects connected to their parents exposure to Agent Orange in Vietnam. 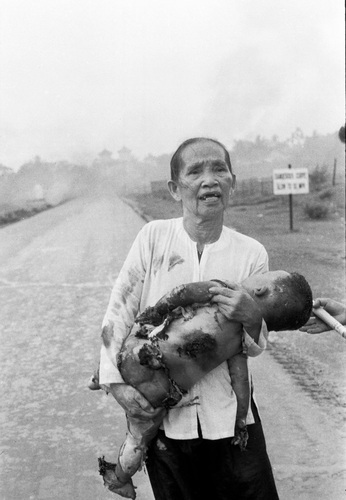 In 2008 Congress has passed legislation (PUBLIC LAW 110-387) to provide comprehensive health care for the birth defect A/O children of Vietnam combat vets exposed to Agent Orange. But, the VA uses endless foot dragging to keep from implementing that law. Tell VA Secretary Eric Shinseki to follow the law, and relieve the suffering of the A/O birth defect children of Vietnam vets.